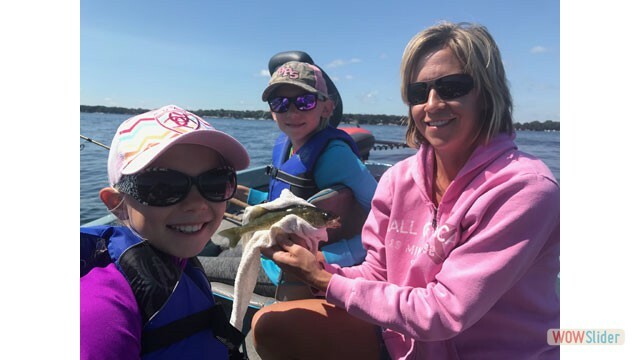 John Campbell, Professional Top Fishing Guide on Lake Okoboji, Spirit Lake, Iowa Great Lakes, Walleye Champion, Teaching kids to fish! 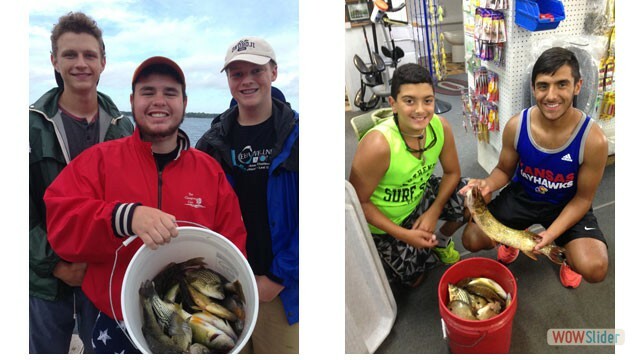 To provide you a great day on the water. 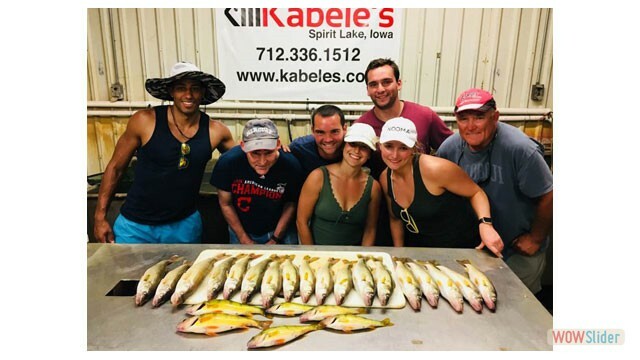 Whether it is a family trip to catch some fish and have a good time together or a focus on learning how to catch more fish, a business executive with an important client or maybe even a young gun preparing to be a pro. 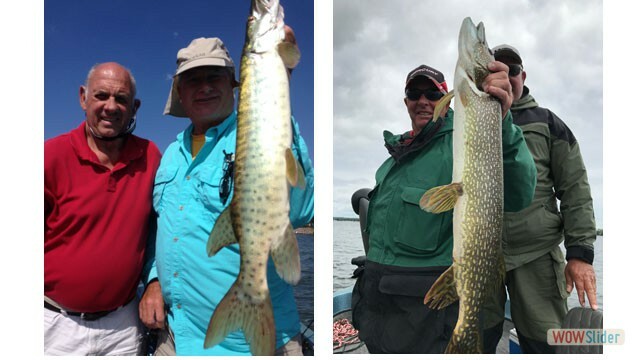 John Campbell, former pro walleye tournament winner at the highest level, offers guiding trips in waters he has fished since he was a kid! 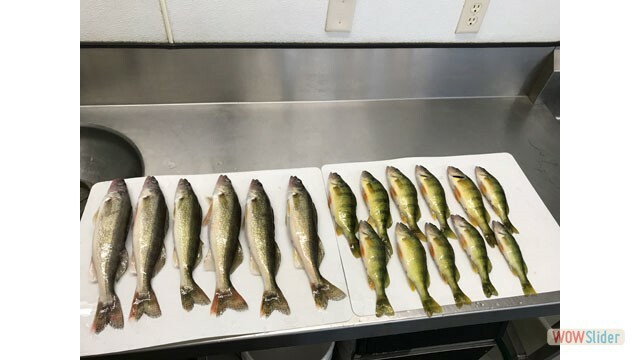 The Iowa Great Lakes are top multi-species lakes. 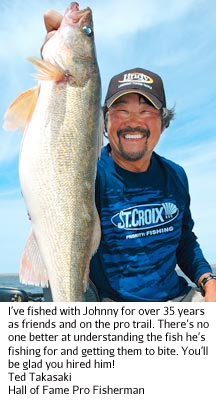 They get overlooked by a lot of fisherman heading north to Minnesota or West to the Dakota’s. 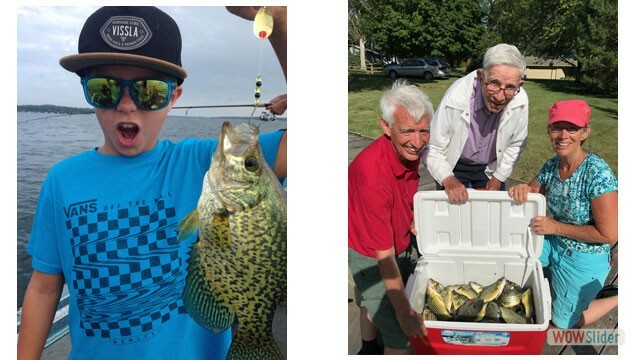 I grew up fishing here during our family vacations and love the diversity it offers. 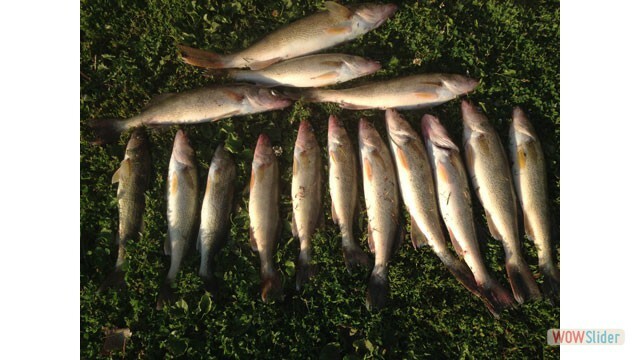 Seems like fishing is almost always good. 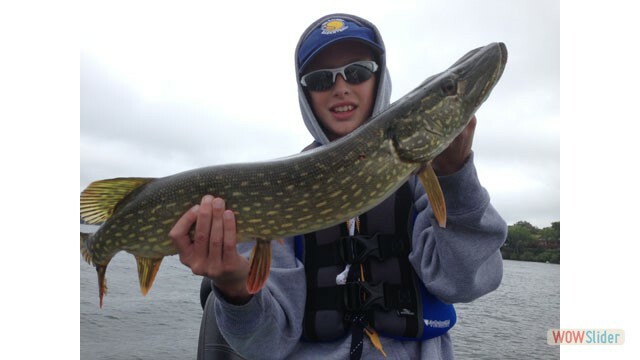 The chain offers big deep lakes, big shallow lakes and small shallow lakes. Water clarity can vary from cool clear drinking water to murky warmer water. 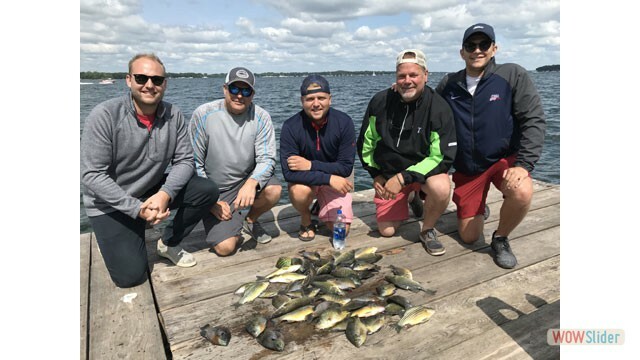 There are definitely some trophy fish, but I look at them as high action lakes. 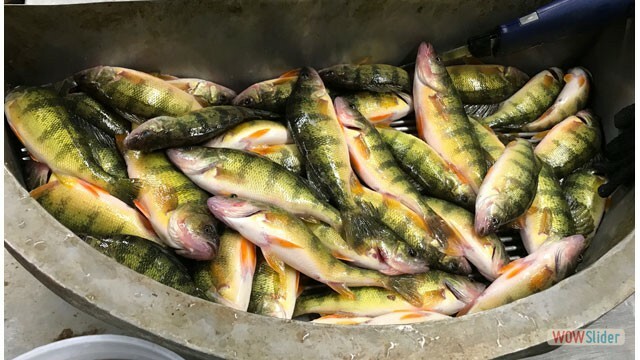 Big Gills, decent Yellow Perch, some Crappies and Yellow Bass. 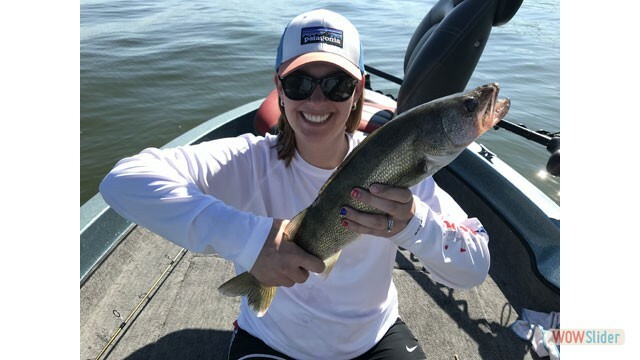 Walleyes range from eaters to slot fish and some overs. 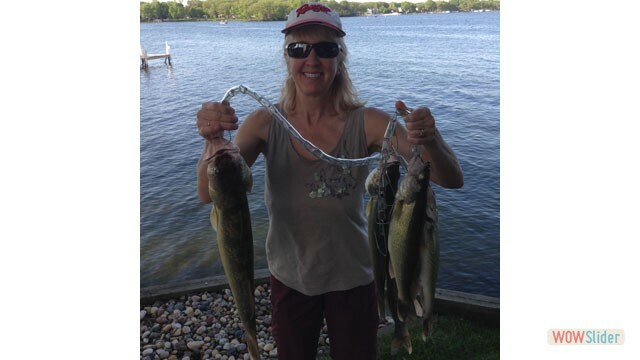 Not many lakes can you fish for Walleyes and yet pound on all the other fish at the same time. 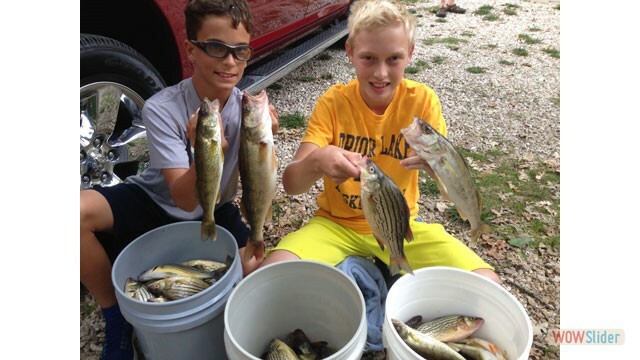 It can be great for young fisherman because of this. Give it a try this year. 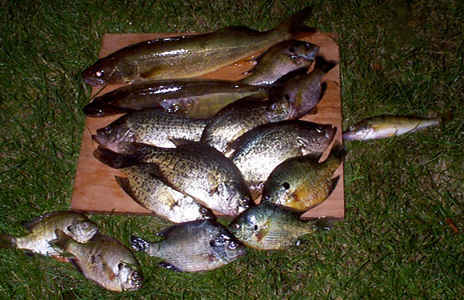 A catch that includes sunfish, crappie, and walleye. 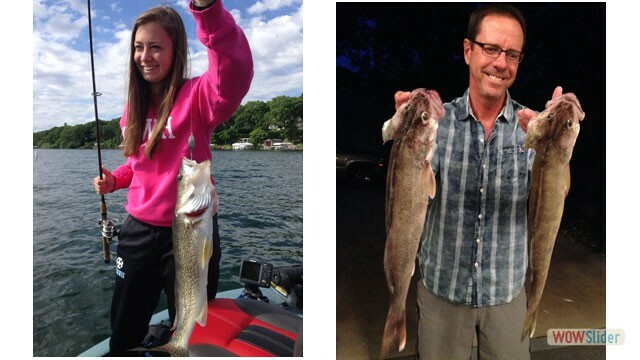 All this and more are common catches on Lake Okoboji and Spirit Lake.